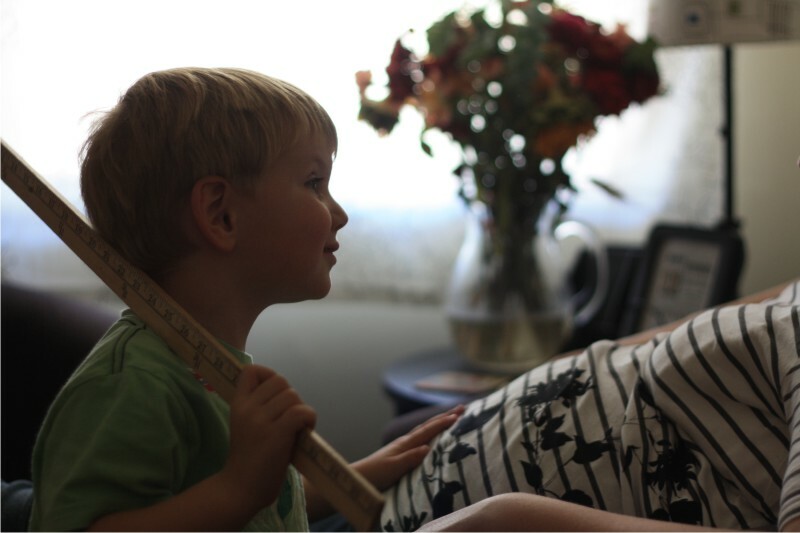 Nested Interests: Is the baby done yet? Is the baby done yet? 1 month, 1 week to due date. No dear, he's not done yet. Is he measuring him with a yard stick to make sure? I didn't know you had a blog! YAY! Now I can keep up, good luck with the count down, so exciting! !